Alas! 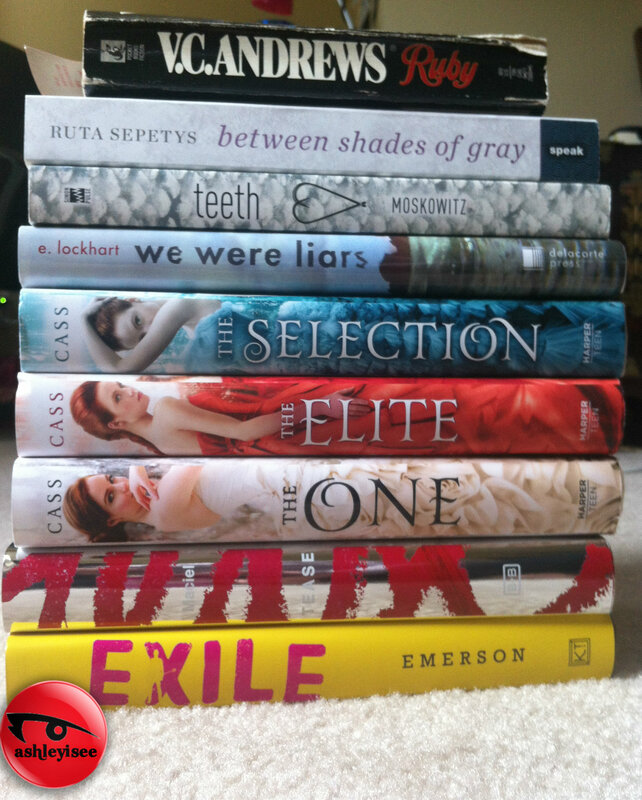 I didn’t stop buying books in May! Things got a bit out of control…. The One by Kiera Cass – Not Read/Signed TWICE! The story with The One being signed twice is because Barnes and Noble had pre-orders available for signed first editions. At the time I made sure to check Cass’s schedule to see if she was coming to Seattle. No such luck, and I HAD to have to this book – and have to signed? Yes please! A few weeks later I noticed updates on Cass’s events page via Tumblr and lo and behold! She WAS coming to Seattle! I had other books ordered with my copy of The One, so I didn’t want to cancel my order. I figured it would be great to have her sign my name at least and now I had the best opportunity to own the entire series (minus the side stories). ALL HARDCOVER, ALL FIRST EDITIONS and now they’re ALL SIGNED WITH MY NAME! Fangirling all over the place here – stay tuned next week for my writeup of the signing event!